First introduced in 1991, the GMC Yukon is a full-sized SUV designed to tackle just about anything thrown at it. The Yukon series evolved from the older GMC Jimmy truck that was first available in the 1970s, but the modern incarnation of the Yukon has moved far beyond its older predecessors. As you might expect, the 2019 GMC Yukon XL has been designed to conquer the road and provide a ton of seating and cargo space for just about any situation. FWhat separates the XL from the standard 2019 GMC Yukon is its size - while it is no taller than the standard model, the 2019 GMC Yukon XL is more than 20 inches longer. This space is used to provide passengers, particularly those in the back, with additional leg room, or provide more cargo space if you fold the seats down. The XL also has a larger fuel tank, which makes it ideal for long road trips with friends or family members. FOf course, all of this does not come at the sacrifice of the great features you would expect from a GMC in model year 2019. This includes things like flexible seating and cargo storage options, impressive towing capacity, and a full suite of safety features and options. 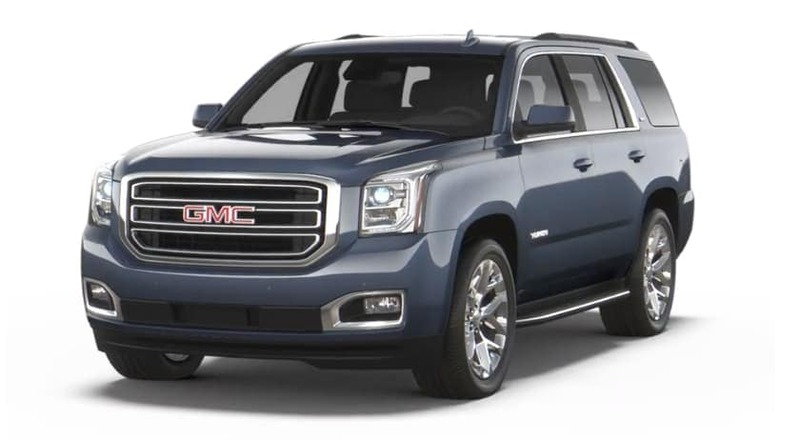 Plus you can choose either 2WD or 4WD, pick between two different engines, and even look at four different trim options including the impressive GMC 2019 Yukon XL Denali. As a full-size SUV, the Yukon has a reputation as an absolute beast that can handle just about any task thrown at it. Fortunately, the 2019 GMC Yukon XL is no exception to that and there are a couple different options available - even outside of trim choices - that can greatly impact just how much power and performance you can get out of it. Whatever you want from the new Yukon XL, it can deliver. The beating heart of any vehicle is its engine, which is why it is so great to see that GMC offers two different options so you can choose exactly the right level of power for what you need. The standard engine in the 2019 GMC Yukon XL is a 5.3L EcoTec3 V8 engine that offers up to 355hp and up to 383 lb.-ft. of torque for solid power and performance. If you need something more than that, however, then you can choose a truly beastly 6.2L EcoTec3 V8 engine that produces 420hp and up to 460 lb.-ft. of torque for some of the best overall performance you will find in a full-size SUV. The engine is important, of course, but there is more to the car-driving experience than what is happening just under the hood. You want to know that your SUV can handle pretty much anything you throw at it, which is why the two drive-type options on the 2019 GMC Yukon XL are so great. The standard build has 2WD, which is perfect for driving around town and should be ideal for anyone looking for an SUV to cart around family and friends. If you plan on exploring off-road, however, then GMC has you covered with an optional 4WD setup that makes the Yukon XL ideal for long drives on and off the road. There are four different trim options for the 2019 GMC Yukon XL, which means you can find a setup for just about any way you plan on driving. The starting SLE trim includes the standard 5.3L V8 engine, 18-inch wheels, and second and third-row fold flat seats. It has a rear-vision camera and other safety features along with an 8-inch screen on the Infotainment system and other options available. By comparison, the SLT Standard Edition provides a few additional features and opens up more options. The SLT Standard Edition has leather-appointed heated front seats, a power programmable liftgate, and a leather-wrapped steering wheel. This trim level includes an enhanced driver alert package that provides a range of additional safety features and the standard 5.3L V8 engine. The SLT trim level, which is not the same as the SLT Standard Edition, includes numerous additional features and options. This includes perforated leather-appointed heated and ventilated front seats, heated second-row seats for additional comfort for passengers, and power fold-flat bench seats in the third row for easier conversion to cargo mode. The SLT trim level includes the enhanced driver alert package and standard 5.3L V8 engine. Finally there is the Denali trim level, a word that is synonymous with luxury and the best features on the road. The 2019 GMC Yukon XL Denali has a unique chrome grille, additional chrome accents, and 20-inch wheels. In addition to the 8-inch Infotainment display, it also has a second 8-inch driver display that provides more information for the driver. The Denali trim level also comes with the 6.2L V8 engine standard and a Bose Centerpoint surround sound speaker system for an unmatched driving experience. Although a lot of the interior features of the 2019 GMC Yukon XL can change based on trim choices, certain aspects of the inside remain the same. The choice of the Yukon XL over the standard model provides you with additional interior space, which can be used for passenger leg room or additional cargo storage. In general, leg room really matters for third-row passengers in the Yukon XL, but cargo space overall behind all three rows is much greater in the XL. Leg room is very important for long road trips, which is one place where the Yukon XL really shines. The standard 2019 GMC Yukon has only about 24-inches of leg room for passengers in the third row of seats (usually kids on a long road trip). By comparison, the much longer Yukon XL has more than 34-inches of leg room in the third row, making it a far more comfortable ride for long trips. This extra leg room can also provide additional storage space when the third-row is not in use. Cargo volume for the standard Yukon is 94 cubic-feet behind the front row, 51 behind the second row, and just 15 cubic-feet behind the third row. With the 2019 GMC Yukon XL, however, you get up to 121 cubic-feet behind the front row, over 76 behind the second row, and almost 40 cubic-feet just behind the third row. Even though we might all drool over high horsepower and incredible interior entertainment features, nothing is more important when looking at a vehicle than safety. If a car, truck, or SUV can't keep you and your loved ones safe, then it is worthless. Fortunately, the 2019 GMC Yukon XL is loaded with standard and available features to help prevent collisions from ever happening, and keep passengers safe if the unthinkable does occur. Prevention is key when it comes to safety since it is always better to avoid potentially dangerous and expensive accidents. The Yukon XL comes with a rear-facing camera and both front and rear park assist standard, regardless of any additional safety features. Additional options, however, include great features like available forward collision alert, low-speed forward automatic braking, and adaptive cruise control. Other options include available lane-change alert with side blind-zone alerts, lane departure warnings, available rear cross traffic alert, and an available customizable safety alert system. Should a collision occur, then the other safety features of the Yukon XL come into play. This includes the industry's first front center airbag for the driver and front-seat passenger. There are also seat-mounted side-impact airbags for the driver and front-seat passenger and head-curtain airbags for other passengers. Strong seatbelts can help prevent and reduce injuries in the event of a collision, and the LATCH system makes it easy to install and safely secure child restraint seats in the vehicle. One of the most impressive safety features is the Teen Driver option, which lets you activate customizable vehicle settings tied to a particular key fob. This can limit certain features and automatically turn on some safety systems for teen drivers. You even get an in-vehicle report card for your teen driver, so you can monitor their developing driving habits and make sure they are making smart choices while behind the wheel. Reading about the new 2019 GMC Yukon XL and seeing pictures of it is one thing, but seeing it in person, sitting inside it, and feeling everything it has on offer is something else completely. If we seem overly excited about the new Yukon XL, it's because we are, and with good reason. Come on out to Rick Hendrick Buick GMC Duluth and see why we are so thrilled about what GMC has been working on with the new Yukon XL. We don't believe in high-pressure tactics or any kinds of trickery - with an SUV this gorgeous, those kinds of things are unnecessary anyway. 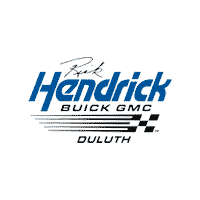 So come and see how just good buying a new Buick or GMC can feel.